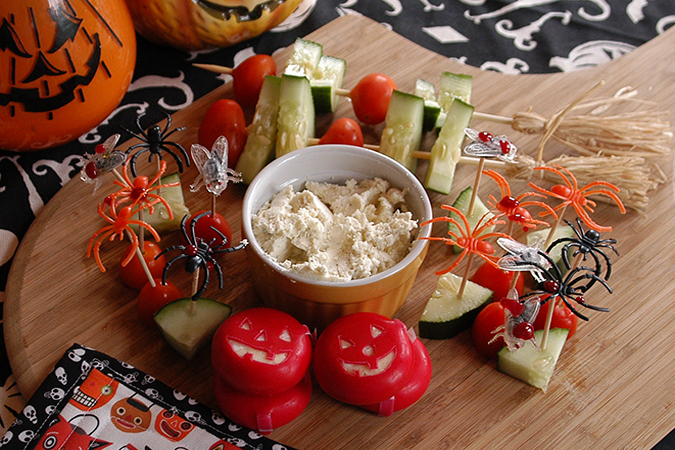 I’m having a Halloween crafternoon this weekend, and I wanted to make some toothpicks for spearing finger food that would be easy to make, but still have a great spooky vibe. 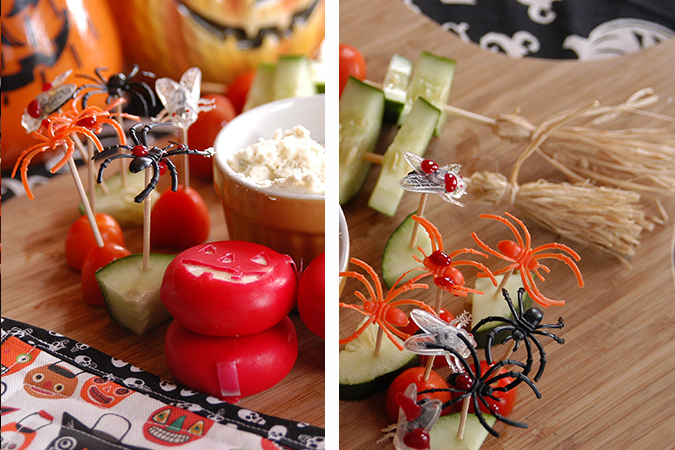 Even if you are not having a Halloween party this year I think these picks would be great for packed lunches, a spooky snack, or you can use the bugs as cupcake toppers. 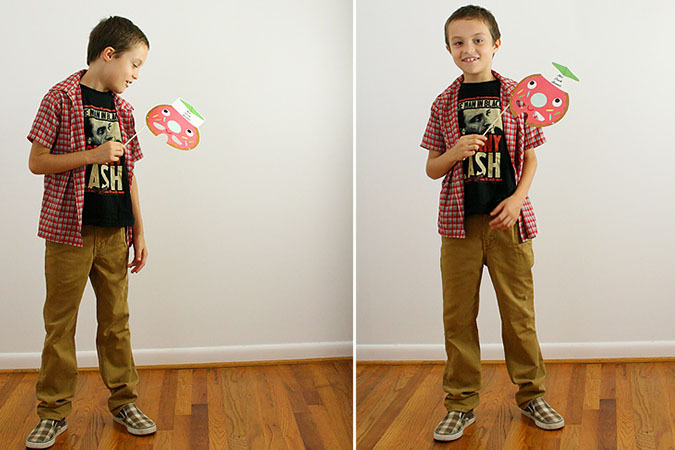 The brooms are very easy and work up really fast! 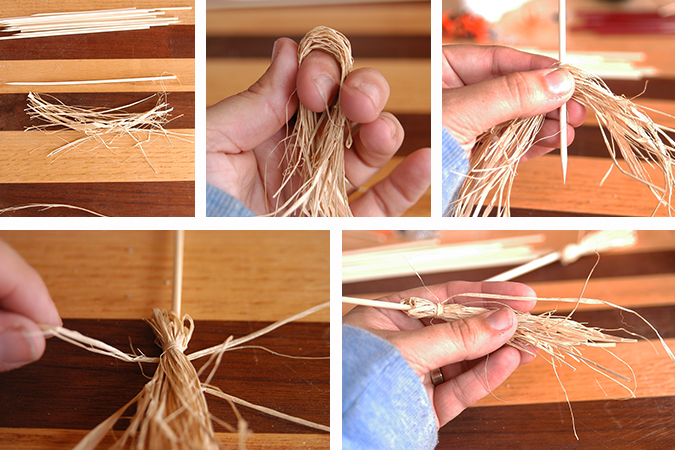 Cut some raffia about the length of your skewer. Fold in half, and insert your skewer. 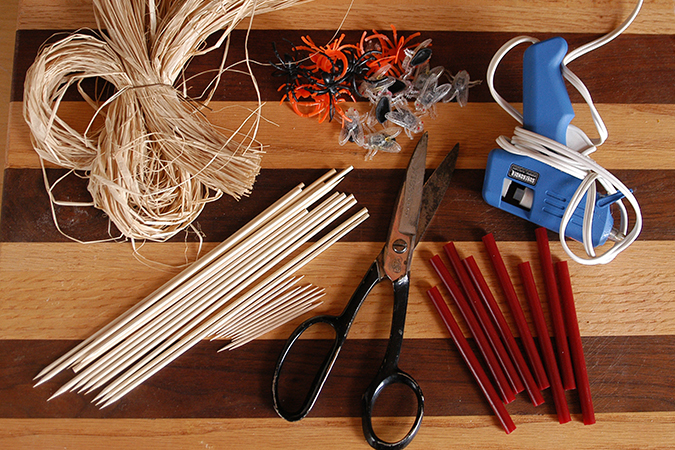 Then use a piece of raffia to tie it all closed. Cut the ends of your broom and you are done. 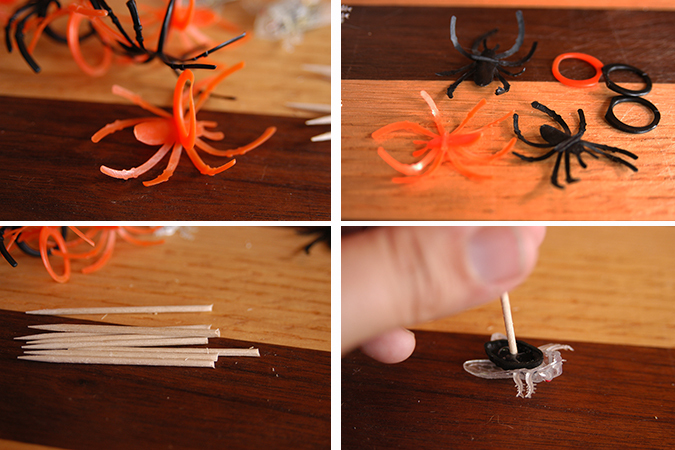 < For the bugs you want to cut off the “ring” part of the spider rings (I also cut the one side of tips off of the toothpicks), add some hot glue to the back of your bug and hold the toothpick in place until glue sets up. 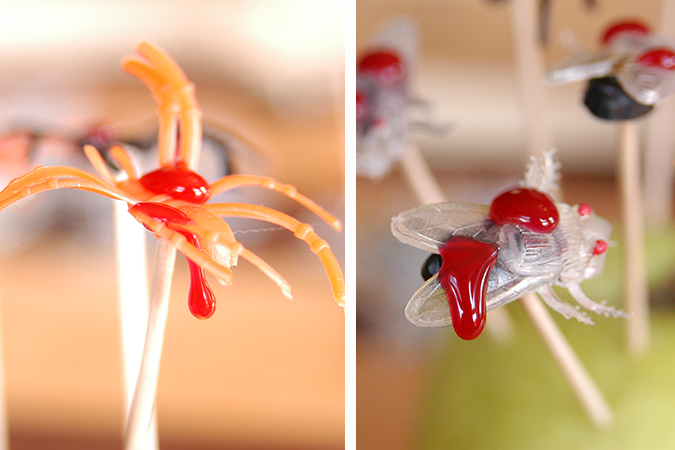 When your toothpicks are dry and you want to add the blood push your picks into something hard to hold them in place. Since I was using mine the same day I used an apple, but if your making them a few days in advance push them into a piece of Styrofoam or something else that will not leave a bit of juice on the tips. 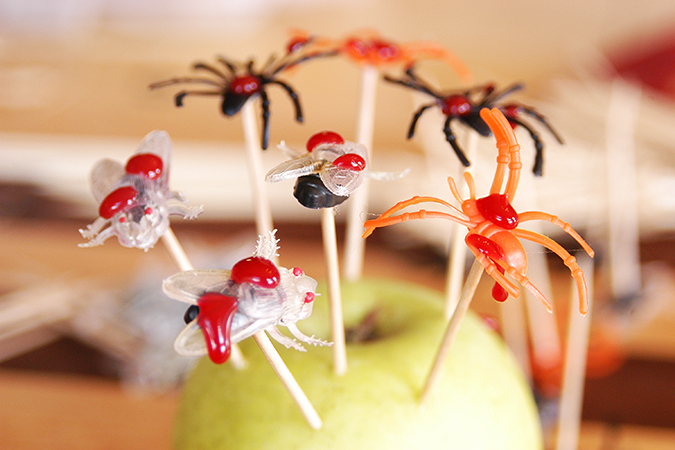 Then just heat up your glue gun like normal with a red stick and add drips to the top. 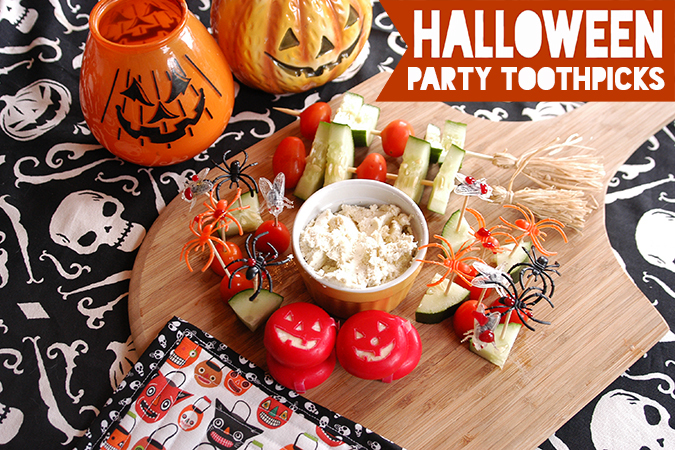 Serve them on a tray with some veggies, dip, and you can even turn those little babybelle cheeses into little jack-o-lanterns with a paring knife. 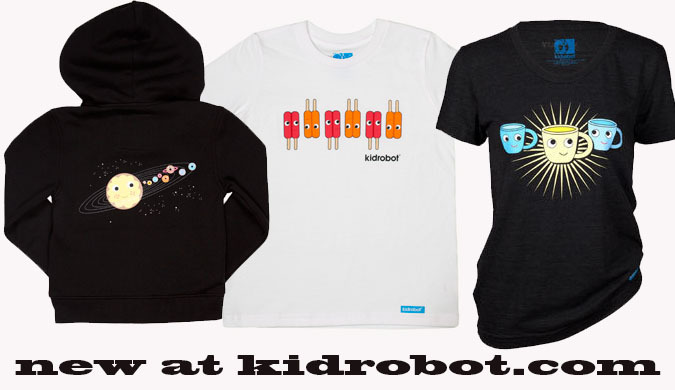 Today I wanted to share some new stuff with you….some new shirts over at Kidrobot. The solar system is donuts incase you couldn’t tell. 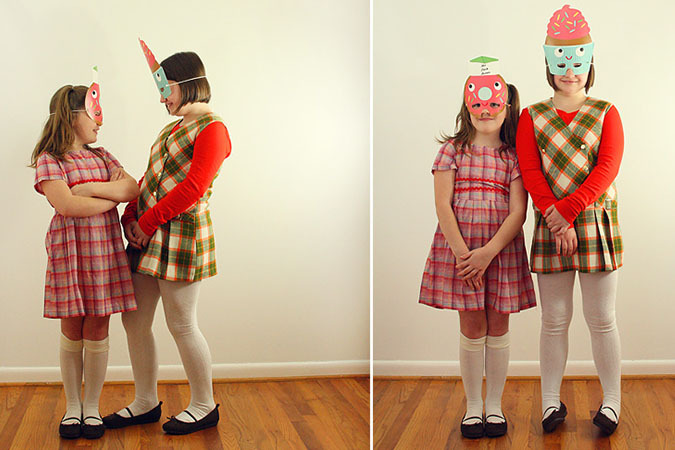 Some silly new masks in time for Halloween over on Kitschy Digitals. Danielle took those photos, isn’t she amazing?? 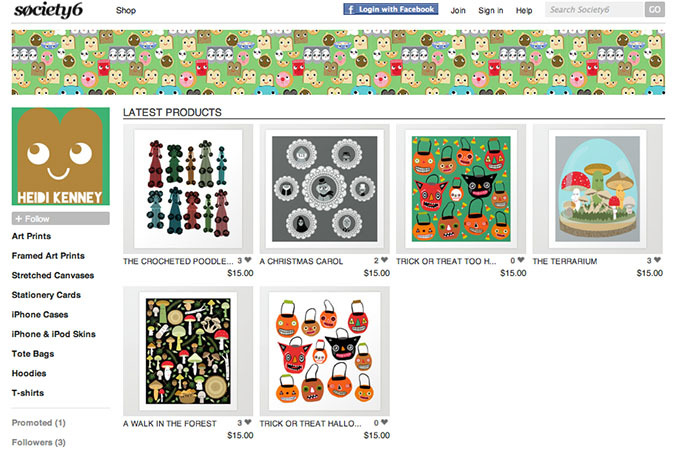 I finally made a society6 account and I am slowly adding my goods to it. Right now you can get free shipping until Oct. 14th by using this link.